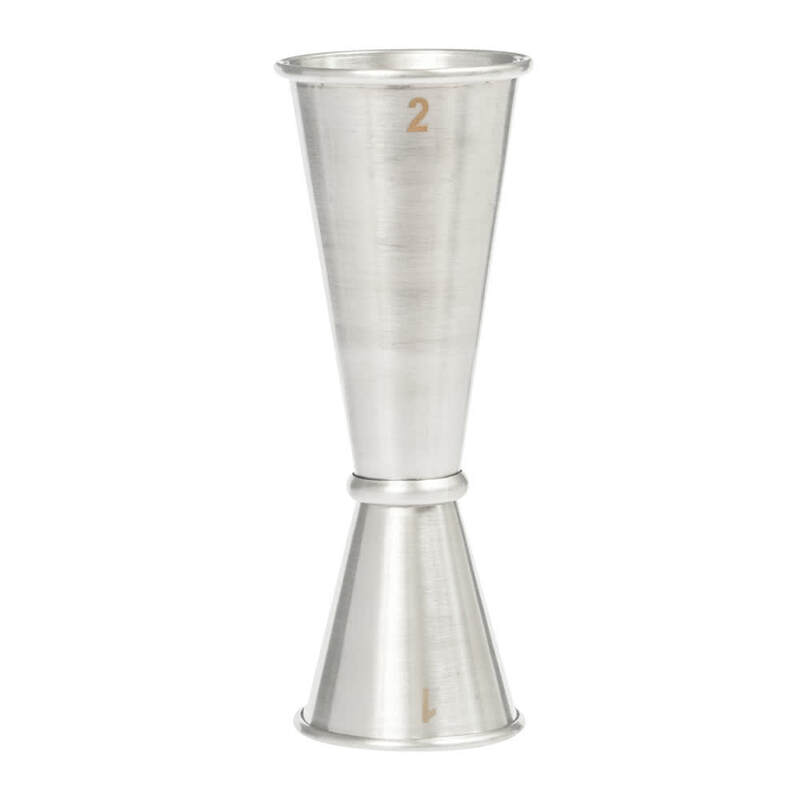 Perfect for measuring ingredients for mixed drinks and pouring consistent shots, the American Metalcraft JG5 double jigger has a 1-ounce capacity on one end and a 2-ounce capacity on the other. This allows the user to measure two portion sizes with one tool. The tool is made of heavy-duty stainless steel to make cleaning simple, and its brushed finish gives it a sleek look. 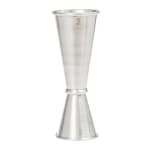 This American Metalcraft JG5 double jigger has rolled edges that add extra durability.